The weather is beautiful today now that the typhoon has passed. 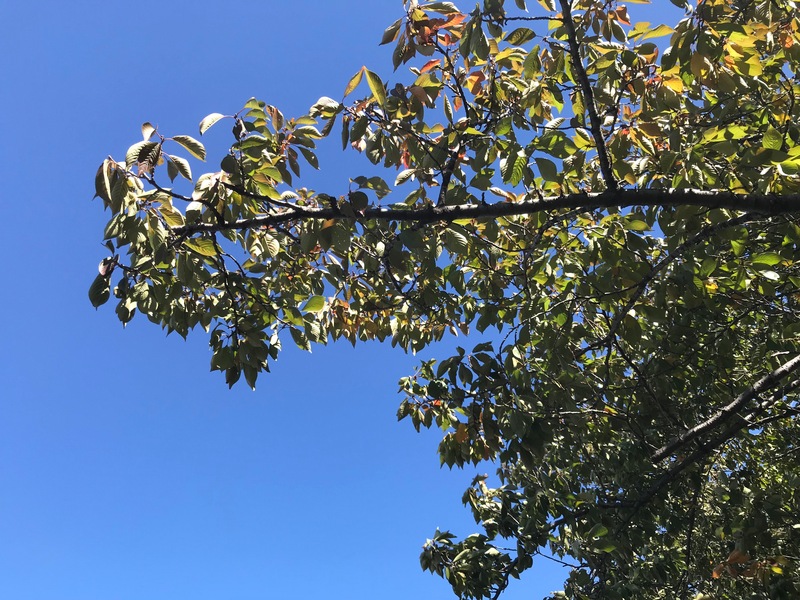 The skies are a clear, brilliant blue. But the winds are very strong, and at times I could barely pedal on my bicycle. 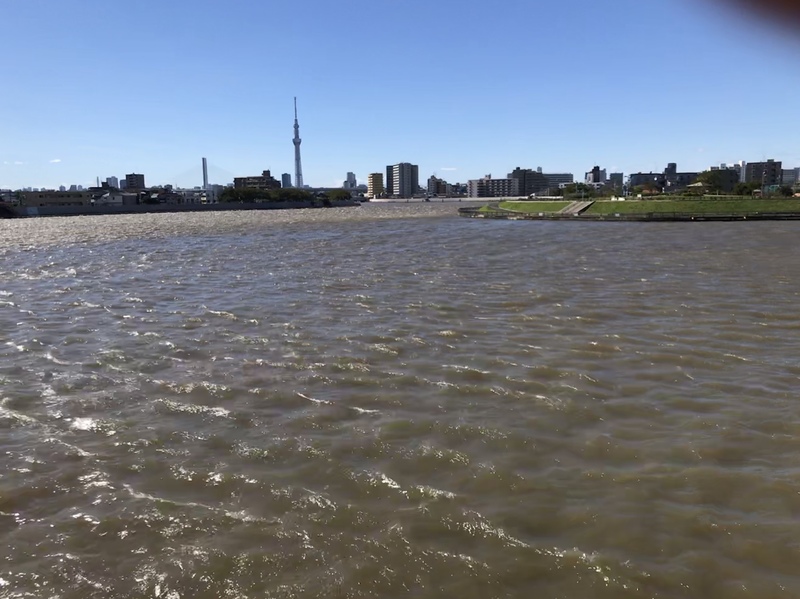 This 10 second video shows what it looks like along the Nakagawa. The waters are churned up, so the water is muddied, and the waves make it look almost like the seashore. The water, at least at the time I went out, almost reached the lower sidewalk along the river, but didn’t overflow. It probably overflowed in the middle of the storm. Below the video are a couple of still photos. The leaves are still just starting to turn.